If you do a lot of hauling or towing, you understand how weight distribution can affect the performance of your truck. You can help distribute the weight of your cargo and improve the towing performance of your truck with MaxTrac rear block kits. 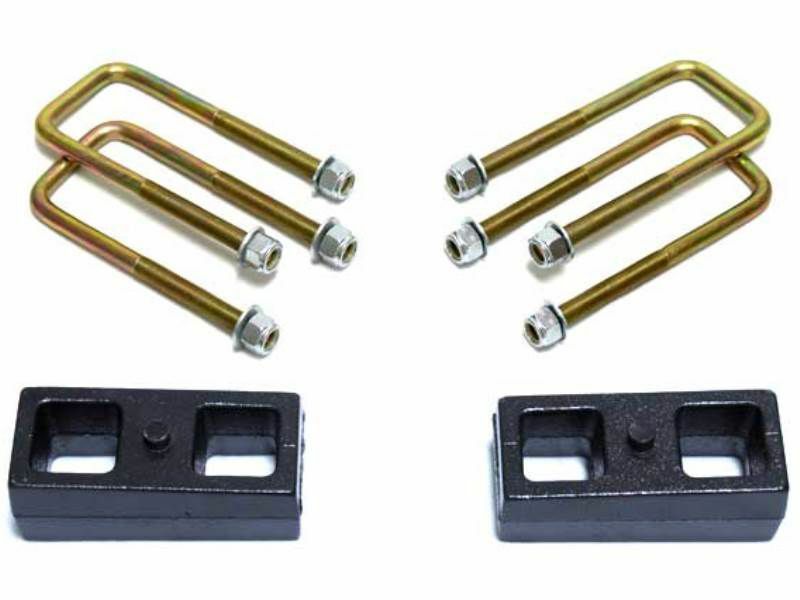 These block kits are designed to take the place of your factory blocks and are available in cast iron or solid steel. The taller blocks will increase your rake, eliminate the dangers of stacked blocks, and they work well with most leveling kits. All the necessary mounting hardware is included. Even new U-bolts come with each kit. The average time to install a rear block kit is about an hour to an hour and a half. Make towing or hauling with your truck better and safer with a MaxTrac rear block kit, you won't regret it!